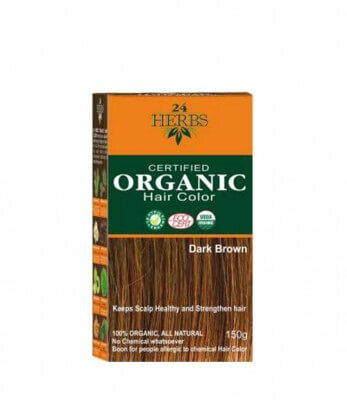 24 HERBS Certified Organic Hair Color - Dark Brown color consists of eight chosen herbs that have proved to be highly beneficial for hair with their multiple range of benefits. With some of the best ingredients as its composition this hair color suits all the essential requirements of coloring as well as caring for your hair. • Consists of 8 certified herbs that have proven highly beneficial for hair. • Comes along with a kit of Application Brush, Shower Cap, One Pair of Gloves, Instruction Leaflet. 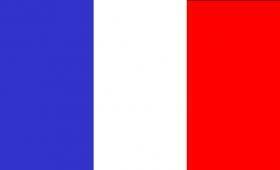 Provides strong coloration to hair strands. Consists of known herbal ingredients for hair like Natural Henna, Indigo, Chamomile, Manjistha, Amla, Neutral Henna, Fenugreek, Brahmi. Maintains the status of the scalp flawlessly without any added irritations.